It just doesn't seem fair. So many cooks spent so much time preparing Thanksgiving Day meals and it's all gone in one fell swoop. I wish we could have the 12 Days of Thanksgiving like we do for Christmas. 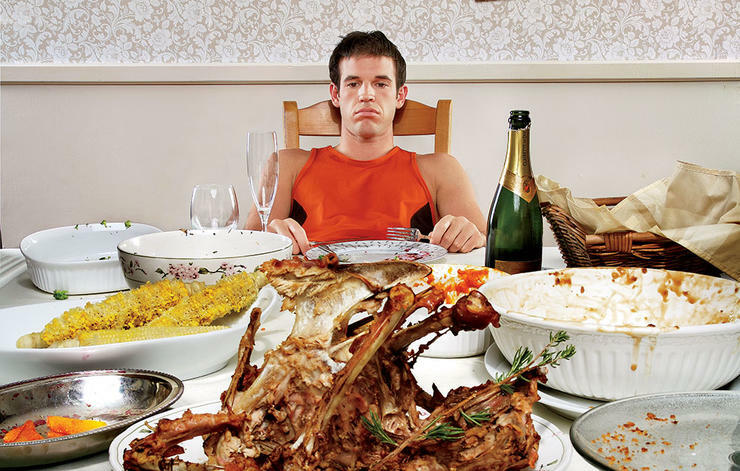 On one day, we could eat just stuffing and on another day, only pies, leading up to THE big day when we combine everything in one epic meal. I'm always sad the day after Thanksgiving and Christmas too. I love being with friends and family and having a wonderful reason to celebrate but, once it's over, it's like a cell door closing in a jail to me. I feel almost embarrassed to still have decor up. It's just so final. I guess I just get too excited anticipating these holidays. I love seeing the joy on people's faces as they shop for turkeys or gifts. There's such a sense of goodwill in the world during these times. Maybe I'm just mournful for the fact that this feeling doesn't seem to last all year. I wish we could always live in this joyful state and not need a holiday be the reason for it. Oh, I know, many folks do have this attitude year round and God bless them but it really seems to ramp up during the holidays and, for that, I'm grateful. I try to make every day a cause for celebration. I even have a cabinet full of Christmas-related antiques that I keep up year-round so I'm trying. I remember such happy times growing up and celebrating with family. Sadly, those days are gone. We have grown apart, either by distance, or by life, I don't know which, but I know I miss it. Happily, in my house, we celebrate the holidays big time and for a long time. I keep my decor and tree up so long neighbors start looking at me sideways. And that's just fine with me. 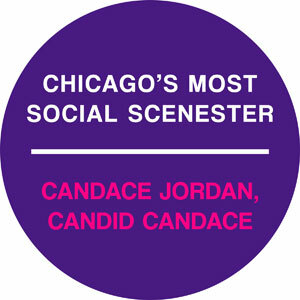 You can also find me on Twitter, Facebook, my award-winning internet show, "Candid Candace TV ", my blog, CandidCandace.com and, of course, every Sunday in the Chicago Tribune (Candid Candace in Life & Style) Thank you!